OVERLOOK is a lecture, a dance with memory, a time machine, a dream of utopia. Using creative interviews with village elders and the explosively inspiring archives of the Woodstock Historical Society, this solo performance delves into local lore, wild personal narratives, and the unique stories of the many characters populating Woodstock’s art colony heyday. Using an amalgam of voices, historical accounts and essays, original texts, and dance, this solo illuminates themes of art-making, bohemia, high jinx, and a rooted sense of place. HOMEWARD was an exhibition, a living archive, and a celebration of the artists of Woodstock. 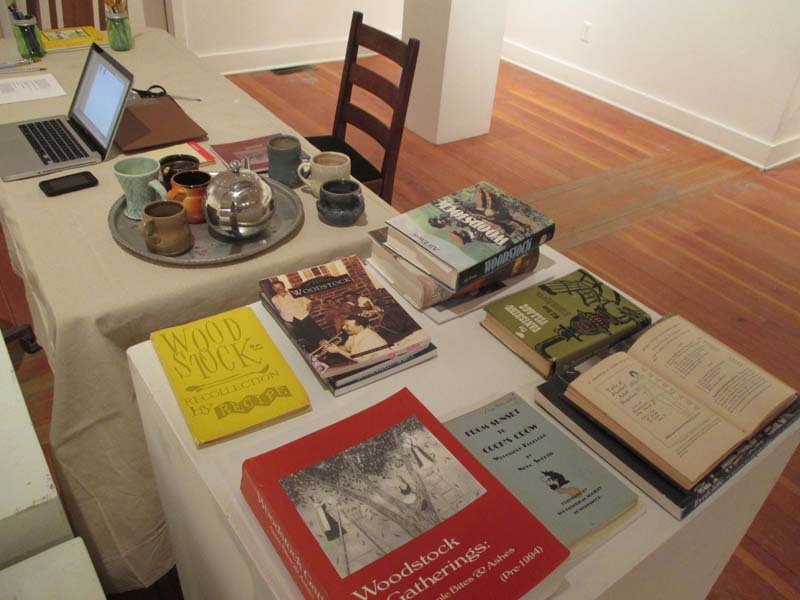 This short-term exhibition highlighted art created in Woodstock, as well as photographs, artifacts, publications and ephemera from the collections of the Historical Society of Woodstock and the Alf Evers Archive. For this exhibition, and linked to the performance, Lesterlin created a visual installation entitled “Hue & Cry” that functioned as a lively sieve for primary sources. 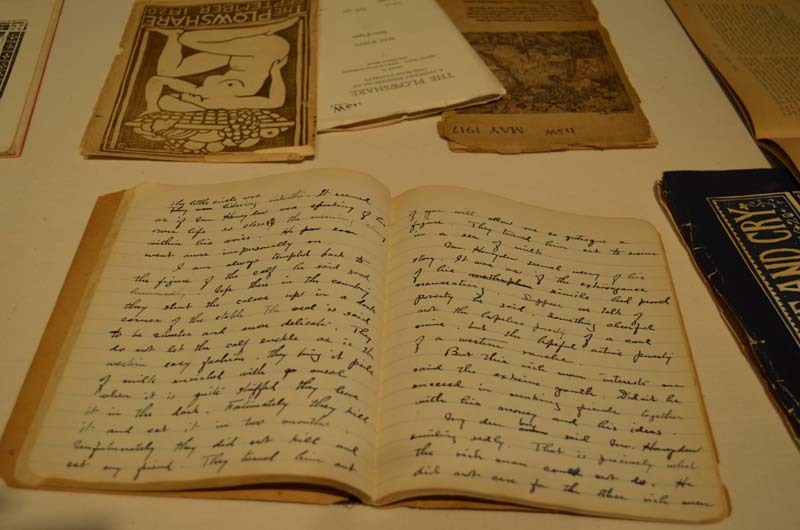 Using archival materials, it was a collage, a paean to the making of art, life and mischief in Woodstock, during the foundation and flowering of its utopian art colonies in the 1900s through the 1940s. Featured are rare period photographs chronicling the outrageous Maverick Festivals that ran from 1915 to 1931, when they were finally shut down for getting out of hand. During gallery hours throughout the weekend, visitors were invited to contribute a drawing, poem, or watercolor painting, adding to a living archive. Lesterlin was on hand to elicit impromptu stories, encourage a contribution to the archive, and serve a cup of tea. 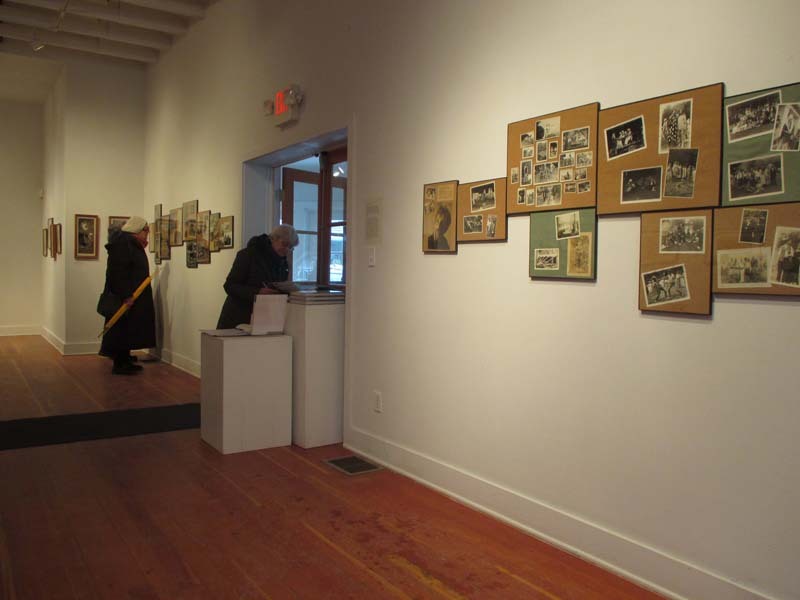 In addition, 22 artworks were on view from the collection of Byrdcliffe, after an 8-year loan to the Samueal Dorsky Museum of Art, including works by Eva Watson-Schütze, Zulma Steele, Ralph and Jane Whitehead, and Jessie Tarbox Beals, all artists who lived and worked on the art colony. Special and hearty thanks to Derin Tanyol, the staff at the Woodstock Byrdcliffe Guild; and Eila Kokkinen who oversees the Alf Evers Archive. This project is based on interviews with members of the community, whose memories and stories form the foundation of the text. 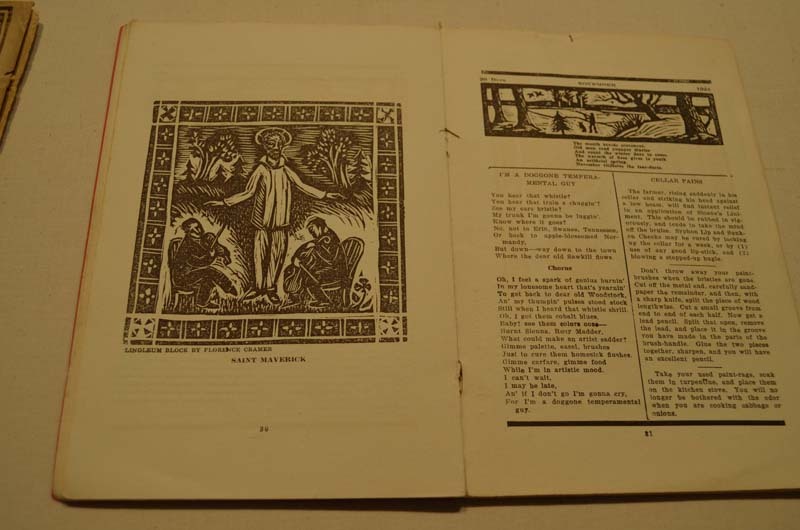 This project is also made possible with the invaluable expertise and kind attention of the board of the Historical Society of Woodstock, as well as its overwhelmingly rich archive. Special thanks to Richard Heppner, Deborah Heppner, Joann Margolis, Karen Vos, Jean Gaede, Eleanor Steffen for their generous help, tireless work and inspiring stories. Overlook is made possible through the generosity of donors and with funds from the Decentralization Program, a regrant program of the New York State Council on the Arts with the support of Governor Andrew Cuomo and the New York State Legislature and administered by Arts Mid-Hudson. Special thanks also to our business sponsors! It takes a community to make art and we are so grateful for your support. Our exhibitions program is made possible in part through support from the County of Ulster’s Ulster County Cultural Services & Promotion Fund administrated by Arts Mid-Hudson.